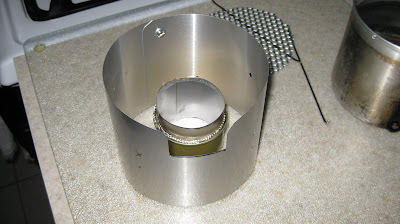 I have been trying to find a wood/alcohol stove that would nest inside of my current pot. 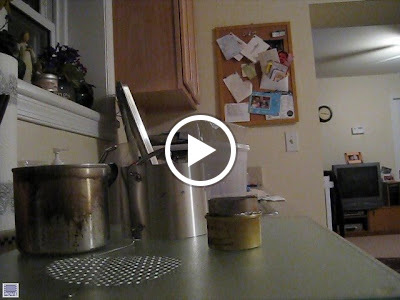 I primarily use the IMUSA four cup aluminum mug and have not found any stove combination that fits inside of it nicely. 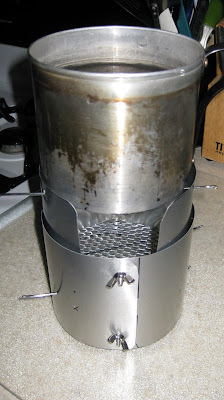 Recently, I was looking at Jim Wood's site and came across his Fire Bucket Stove System. 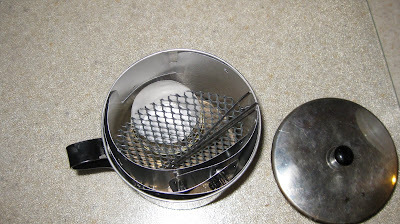 I really liked the concept of a dual purpose setup that could be used with an alcohol stove or burn wood. My only issue was that it still would not nest in my pot. After playing with it for a while I came up with this design. 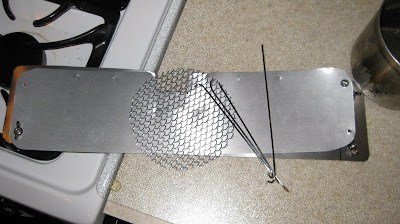 It is two strips of four inch wide flashing that can be used separately as a wind screen or nest together for burning wood. Tomorrow will be the big test to see how well it works. I like Jims fire bucket idea, and your 2 piece design is what it really needed. Looking at it I thought if your top screen fuel feed slot was not so deep and the screen went Outside the bottom one with a small air gap between inner and outer then you would have a secondary air intake and a wood gas stove, which may or may not be what you're after. The more the 2 over lapped the better secondary air would be preheated. Just a thought.